This sale on the TaoTronics Cool Mist Ultrasonic humidifier is Matt Granite's favorite deal on Amazon today. Forget those tiny little diffusers - when it comes to the harsh winter weather, the best way to show Mother Nature who's boss is with an extremely powerful Ultrasonic humidifier. If you woke up with a sore throat, dry cough or if your sleeping partner complained of your snoring last night, you'll want to check out the TaoTronics Cool Mist Ultrasonic humidifier — my favorite deal on Amazon today. With a large two-liter tank capacity, this humidifier can cover an entire bedroom, nursery or home office. And today's price — under $25 — is fantastic. 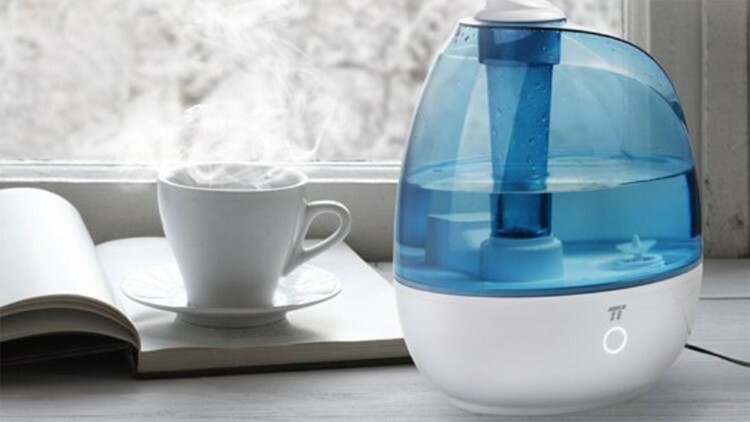 Is this the last and best humidifier deal of 2018? No. There will be more deals this year, and some of my other favorite humidifiers will be on sale as we start 2019. But at this price, if you need a humidifier, today is your day. Don't have Prime yet? Click here for a 30-day free trial.